"We're having trouble verifying your identity. Please try reloading the page." "Hey there! We're having trouble using cookies in your web browser..."
If you get a blank screen when trying to enter Prompt through one of our integration partners, that may also indicate the need for a cookies settings adjustment. 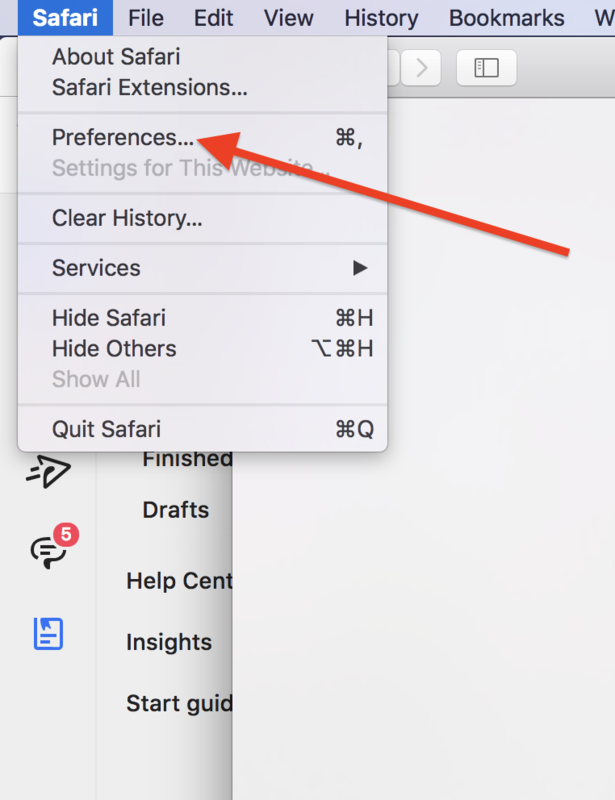 Click Safari on the toolbar, then select "Preferences". Choose the "Privacy" option. 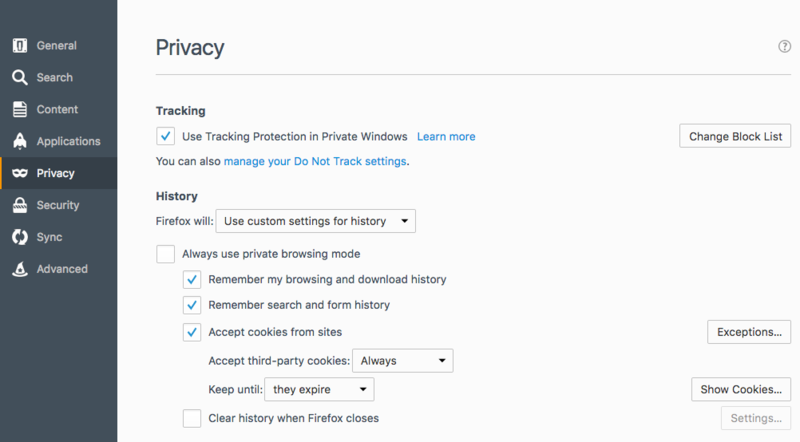 Uncheck Prevent cross-site tracking. 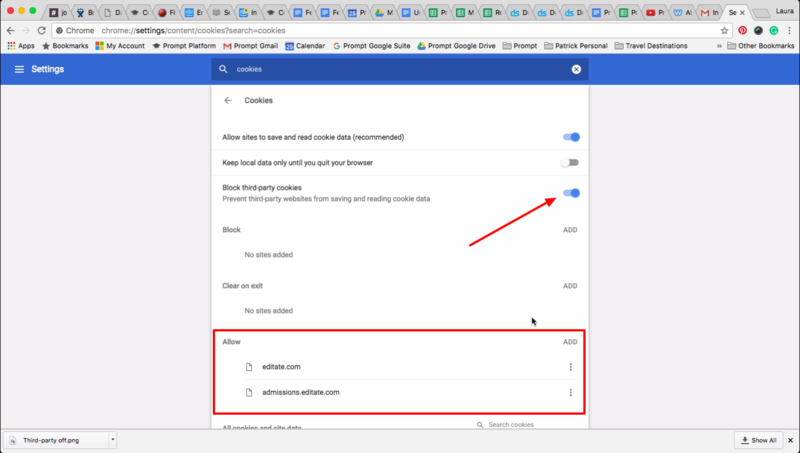 Use the three little vertical dots in the top right corner of your browser or click on "Chrome" and then choose "Preferences." 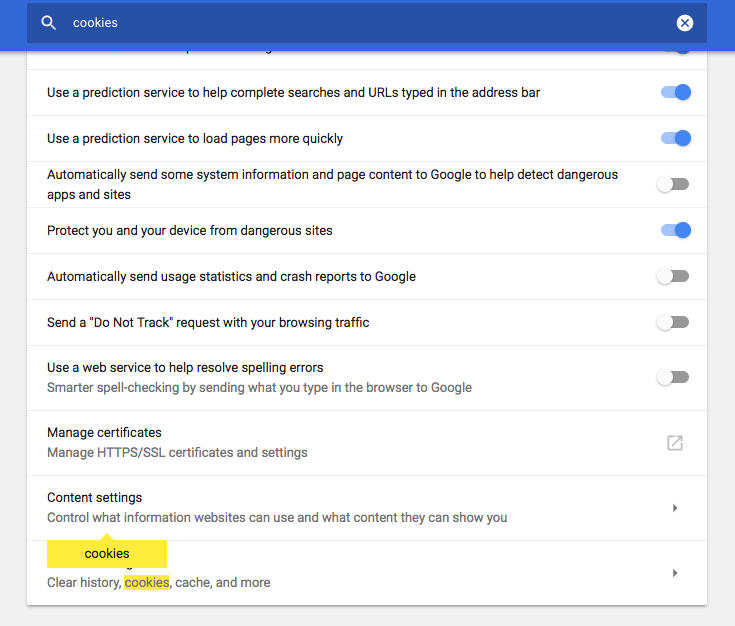 Type in "Cookies" in the search bar at the top. This will highlight "Content settings" in your list. Use the "Open Menu" button in the top right corner of your browser or click on "Firefox" in your menu section. Choose "Preferences" to access your settings. On the left side, choose "Privacy." Use the drop down menu for "History" to choose "Use custom settings for history." 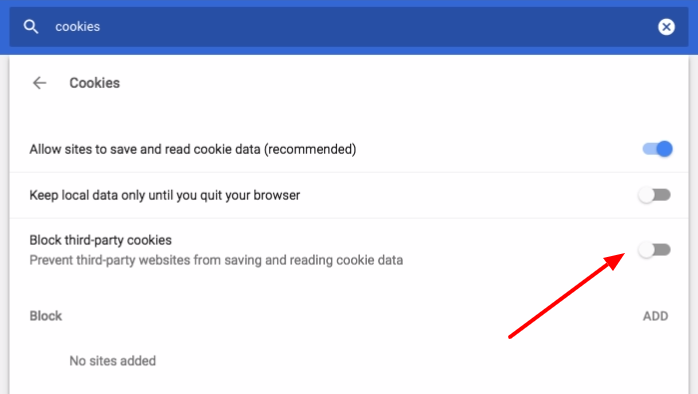 Under the "Accept third-party cookies" option, you can choose "Always." Or, you can choose the "Exceptions" button. This will open a window and you can add the following URLs and click "Allow."